In an article for TES last year, we argued that for the new Sainsbury Technical Routes to really have an impact in producing the skills needed by employers, they would need to be mapped to labour market demand. After demonstrating how this could be done at the national level, we made the comment that for the concept to be truly useful, rather than merely an interesting academic exercise, it would need to be carried out at the local/regional level. 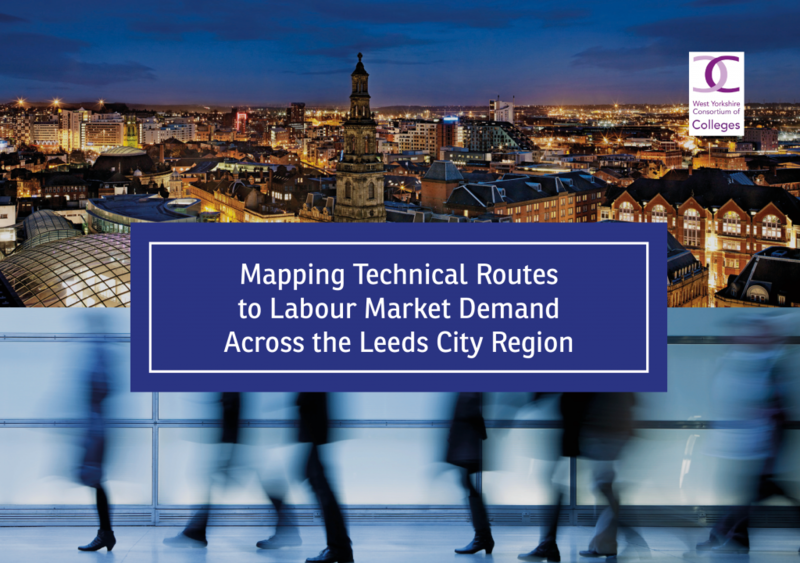 When we first tested the idea of mapping routes to the labour market in the TES piece, we were convinced that it had huge potential at the local level in helping colleges identify which routes they should be most focussed on in relation to their area. However, from the testing of a concept to seeing it put into practice is often a huge leap. West Yorkshire Colleges Consortium have seen the same potential, and it is great to see them taking the concept and applying it in a way that will help them hone their offer around the technical routes to fit closely with the needs of employers in their region.